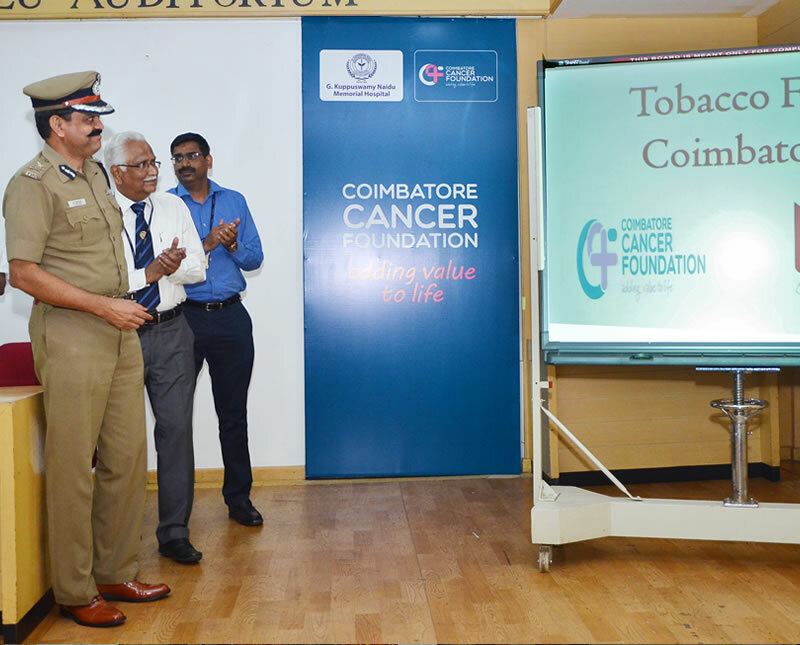 Tobacco Free Coimbatore (TFC) project is one of the new initiative, which was launched on World No Tobacco Day – 31st May 2017 by the honourable Dr. A. Amalraj I.P.S, Commissioner of Police, Coimbatore City. The project “Tobacco Free Coimbatore” vision is to create a tobacco free environment in Coimbatore district. This project is implemented with the support of volunteers from National Cadet Crops, Coimbatore district. Five cadets from 15 institutions will be the core commandos, who will oversee the activities of this project carried out by their team members at adopted communities in Coimbatore.